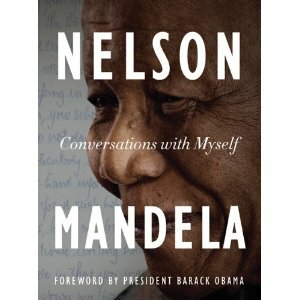 You've probably heard about Nelson Mandela's new book - Conversations with Myself - that was launched on 12 October 2010. If you've not read it and shelved it in your personal library yet, make sure you do. Nelson Mandela, former South African President, no doubt, has such an incredible life story that would never fail to inspire you, your children and your children's children to seek progress by promoting social justice and equality for all. The new book offers "unique access" to the life and thoughts of the freedom fighter. It reveals the "private man behind the public figure," and guess what - the foreword is written by U.S. President Barack Obama. Nelson Mandela's Conversations with Myself is available on Amazon.com. It's highly recommended. Read more about the book on the official website of the Nelson Mandela Foundation.